Follow Earth’s remarkable transition from a dry world with a uniform black basaltic surface to a wet planet of rivers, lakes, and oceans. Also learn about the special properties of water, which make it a universal solvent, a vehicle for life, and the chief architect of Earth’s surface features. Good discussion. lots of relevant facts. Will look for more pieces of this lecture. Great. I have a decent understanding of early historical geology, including the Hadean and Archean eons, so I felt like this short lecture would be a be a good recap, and probably contain some helpful points for further exploration. The first 15 minutes were as expected, and reacquainted me with terms lost to undergraduate exhaustion. After that...whew! If I’d continued in inorganic chemistry, this might’ve been a review, but the lecture went from basic principles of early atmospheric formation to crazy complex magma differentiation. This would not be encouraging to potential earth scientists, and left me feeling fuzzy, and frustrated. Dr. (Mr.?) Hazen never sounds pretentious, and has a nice delivery (without being forced, or overly “enthusiastic” i.e. kiddie-friendly), and I have a few other earth science titles narrated by him, but this one should come with a warning: First half, 200 level geology class review; second half, 500 level early igneous petrology lesson! What about Robert Hazen’s performance did you like? Dr. (Mr.?) Hazen never sounds pretentious, and has a nice delivery - without being forced, or overly “enthusiastic” i.e. kiddie-friendly. 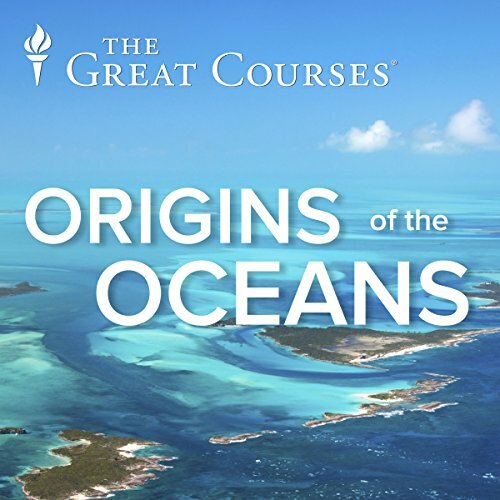 Do you think Origins of the Oceans needs a follow-up book? Why or why not? Well, geology always needs a follow-up book, but in this case, this title simply needs, either, a better synopsis, or to be presented as two separate titles.